The growing power of smart home devices and services will increasingly extend their influence outside of the home and into wider smart city programs, according to a new report from ABI research. Over the next five years, smart home and smart city providers will increasingly leverage the overlap between these two traditionally separate markets as smart home services provide a ready and expandable Smart City Internet of Things (IoT) resource. “So far, smart city programs have been dominated by broad, large-scale implementations. Increasingly, either these projects will expand to embrace smart home partners, or they will see some of the primary applications encroached upon by progressive smart home providers,” says Jonathan Collins, ABI Research Director. By 2022, a global installed base of nearly 300 million smart homes will put smart home providers in the position to provide a ready data source for smart city applications. Current smart city projects typically address applications including transportation, healthcare provision, environmental management and more. Increasingly, however, smart home providers are showing they can deliver similar functionality by adding additional application capabilities for their smart home customer base. Perhaps the best current example of smart home deployments engaged in driving smart city benefits is the integration of smart thermostats into utility demand management programs. Instead of utilities developing their own direct to consumer smart home plays, they have instead turned to smart home players such as Nest, Honeywell and others to deliver the remote control over end-user heating and cooling demands to help manage peak loads. 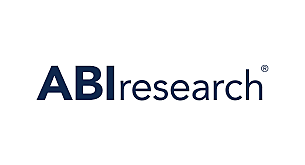 ABI Research finds that worldwide by 2022, more than 80 million homes with smart thermostats are set to have control of the heating and cooling in the home linked to smart grid control. Already home security smart home players Vivint and Ring (now part of Amazon) are providing video surveillance features using external smart home cameras. Vivint’s Streety app provides shared video access to subscribers within a fixed neighborhood, replicating smart city video monitoring of public spaces but through a crowdsourced model. Other applications are still in their earliest stages. Parking management is an often-tackled smart city application, but the rise of crowdsourced parking solutions presents another smart home opportunity. Although still in its earliest days, the potential for crowdsourced parking services to be integrated into wider smart home management features such as access control or electric vehicle charging could prove compelling integration drivers. These findings are from ABI Research’s The Emerging Role For Smart Homes In The Smart City report. This report is part of the company’s Smart Home research service, which includes research, data, and Executive Foresights. (For more information visit https://www.abiresearch.com).